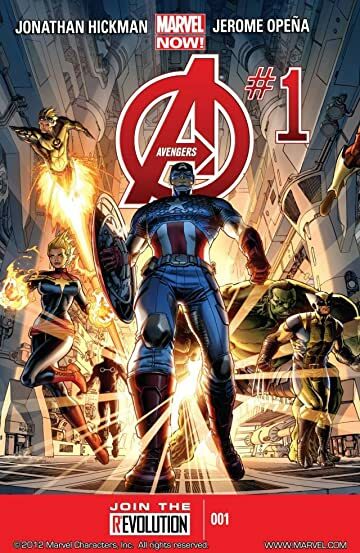 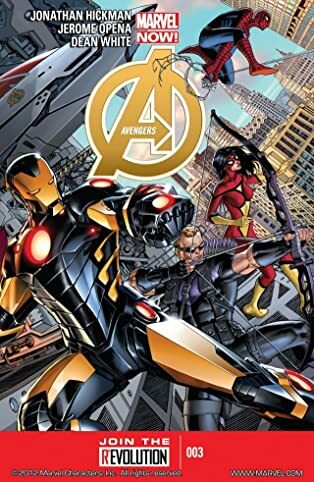 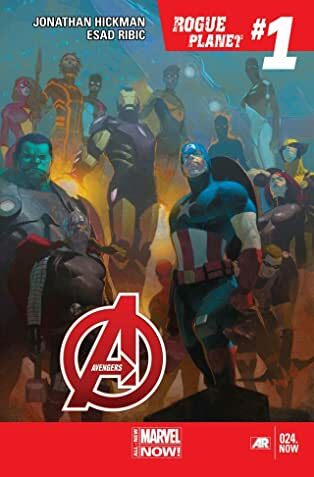 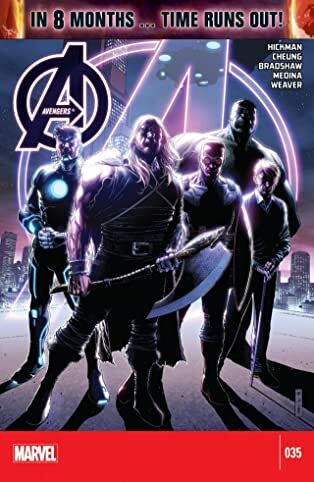 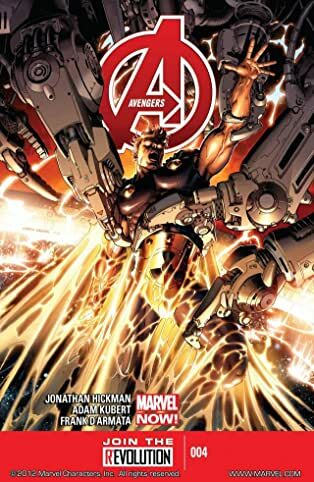 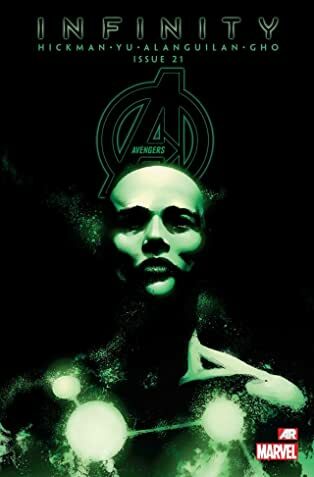 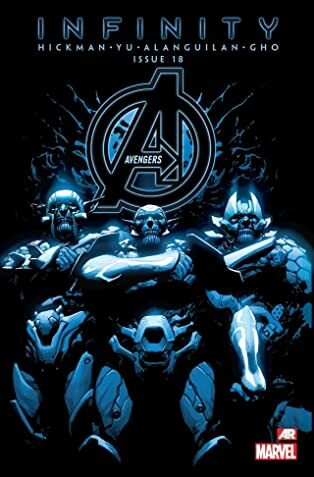 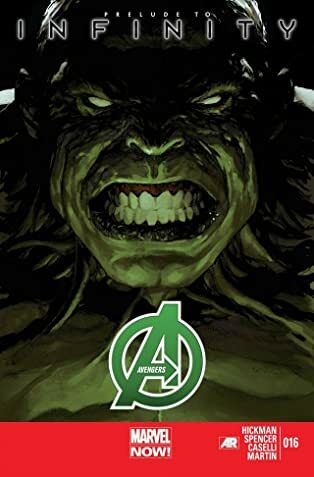 Read the entire Avengers series by Jonathan Hickman in one mighty bundle! 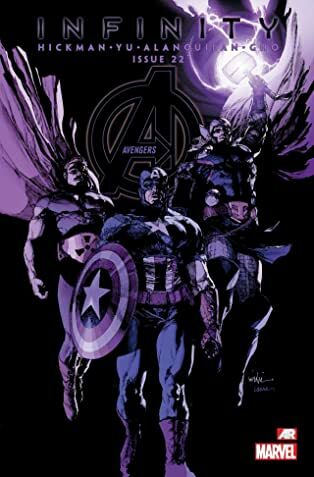 The greatest heroes in comics, together as one unbeatable team! 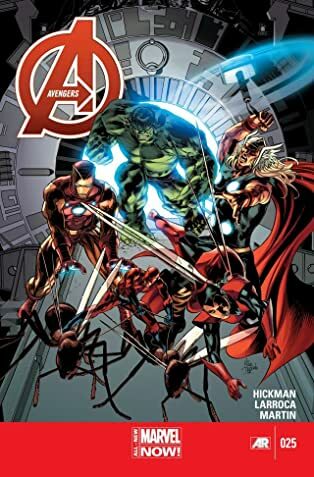 The Avengers "go large," expanding their roster and sphere of influence to a global and even interplanetary level. 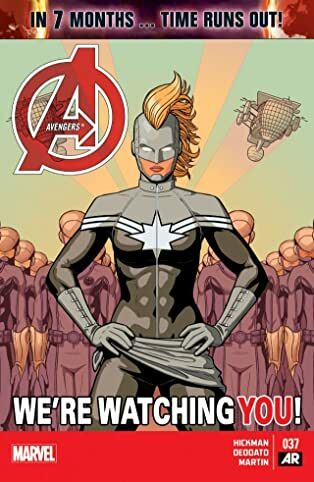 Who will respond to Captain America's call? 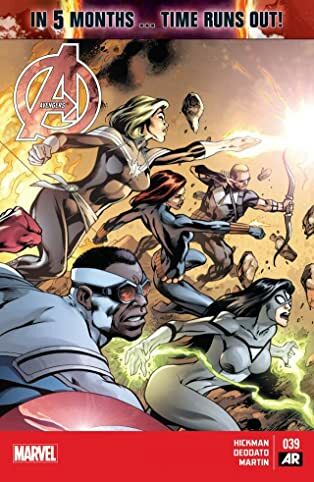 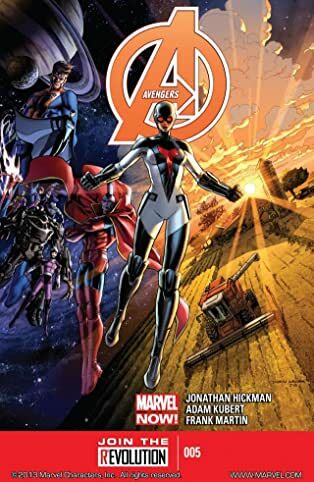 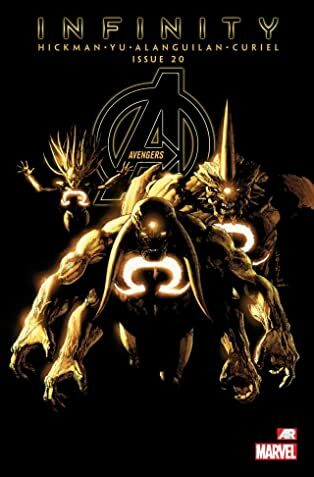 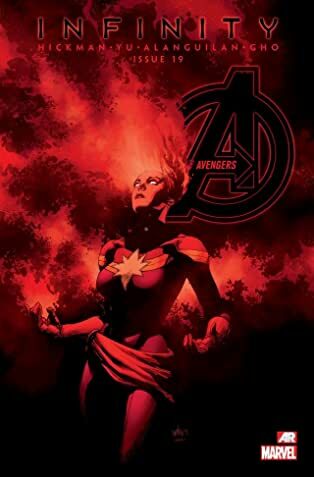 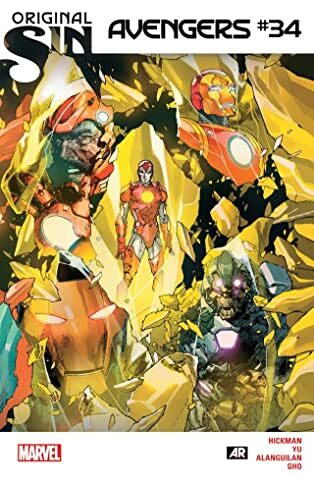 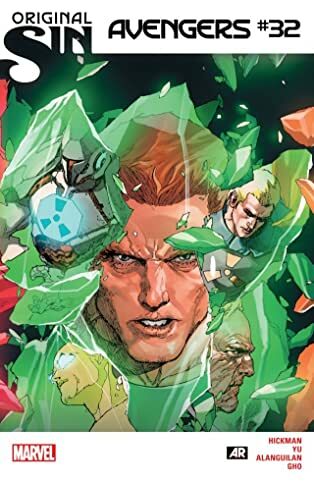 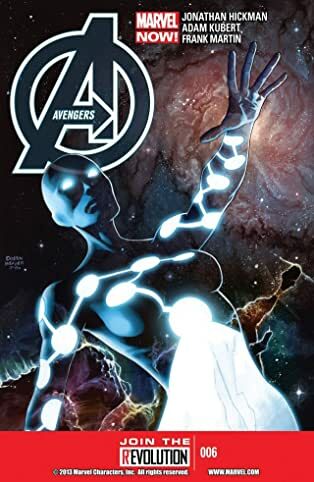 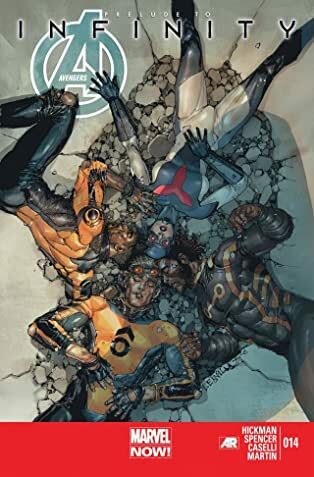 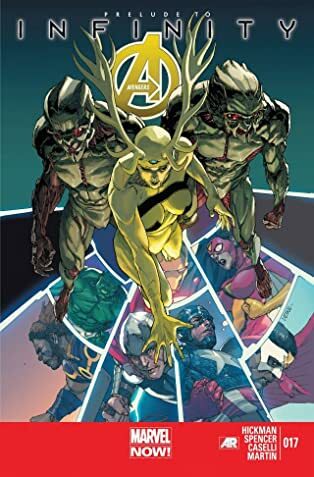 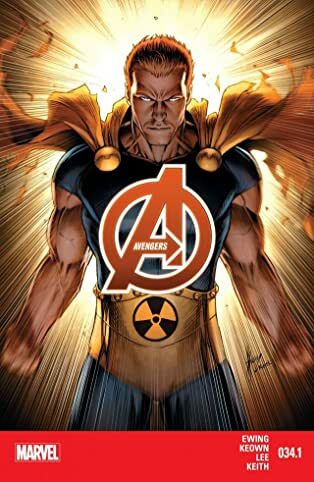 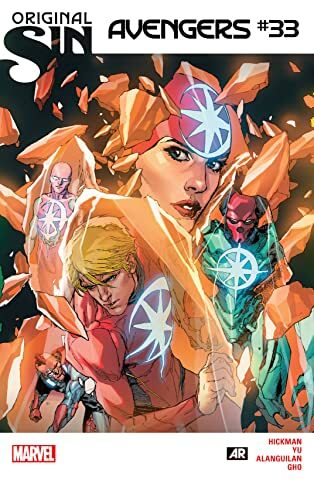 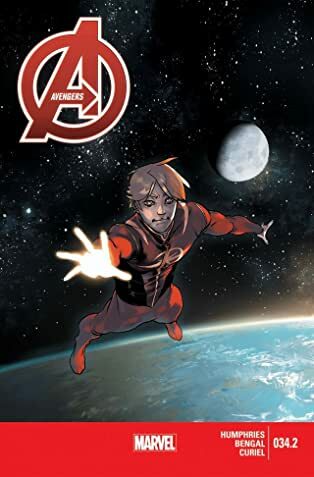 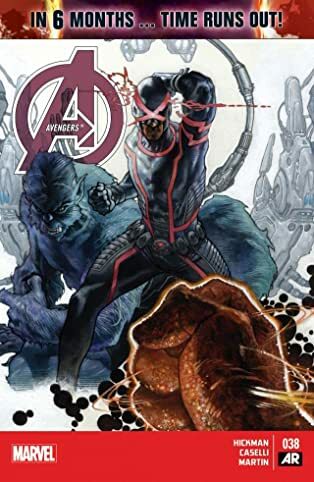 The Avengers' first missions take them to Mars, and then far across the galaxy as Captain Universe races to decipher the secret origin of the universe itself! 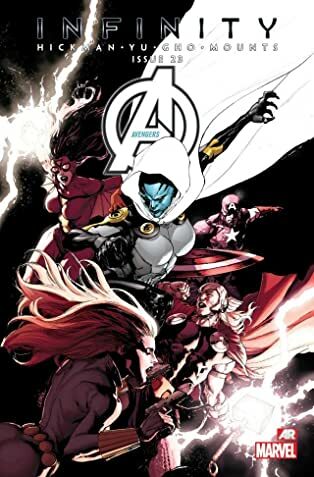 Then, the Avengers must deal with the White Event as strangely familiar new heroes are born! 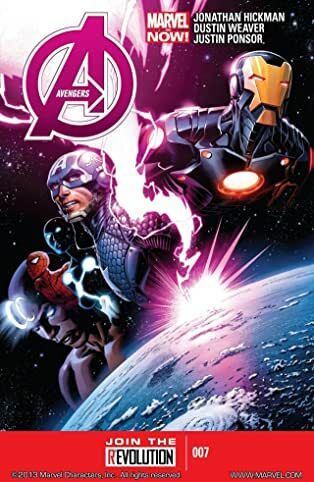 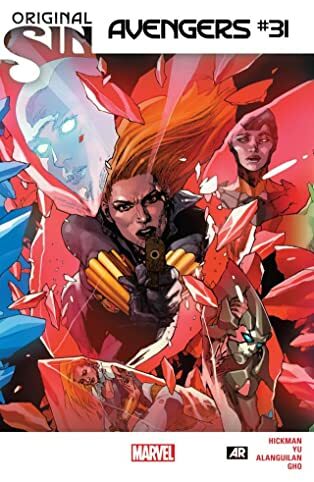 Then buckle in for the pulse-pounding INFINITY event that takes the Avengers right into the middle of an intergalactic war! 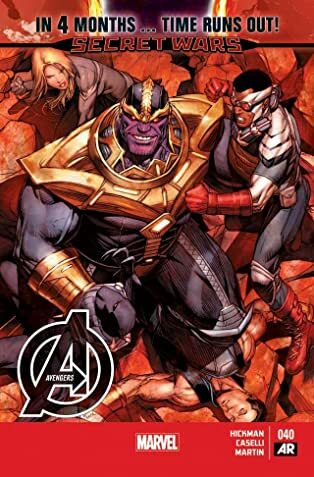 Oh, and Thanos is back with his eyes set on Earth. 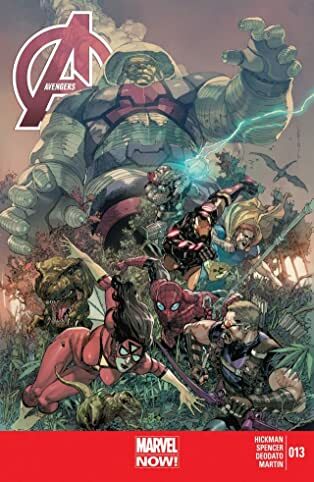 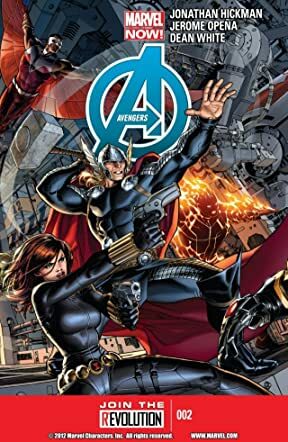 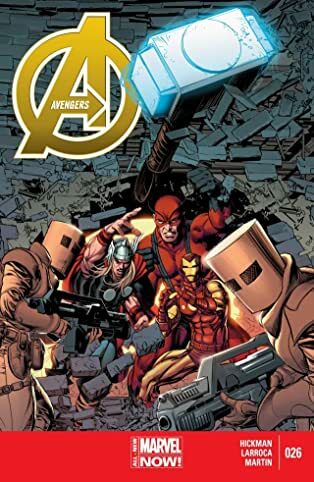 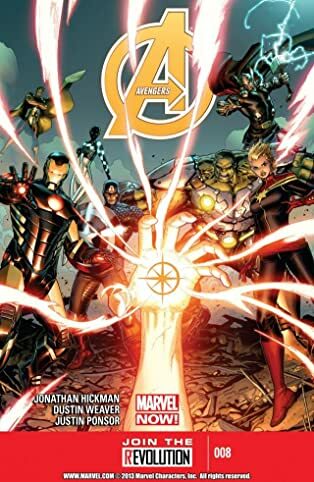 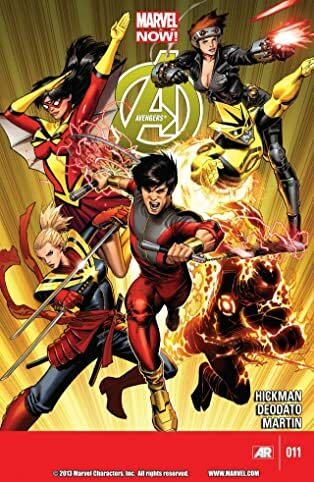 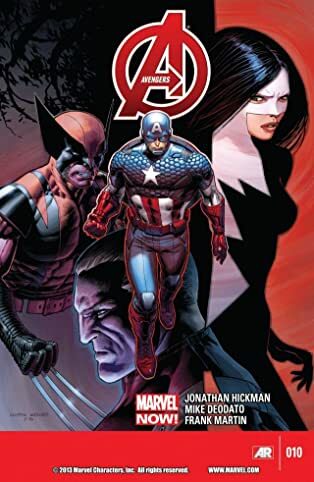 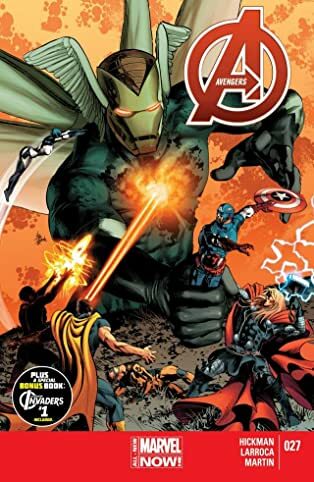 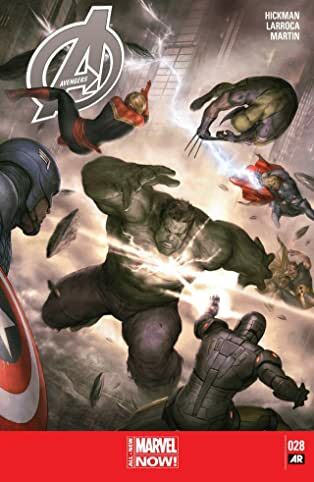 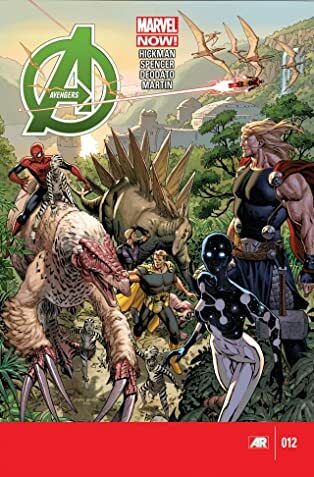 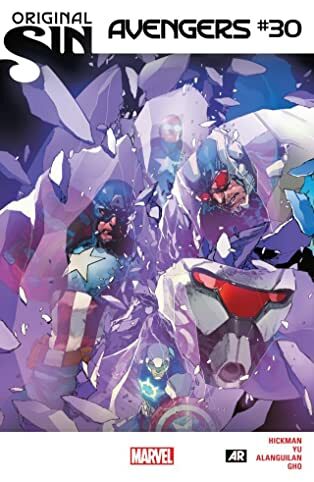 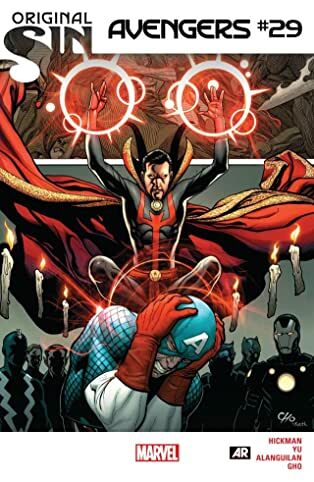 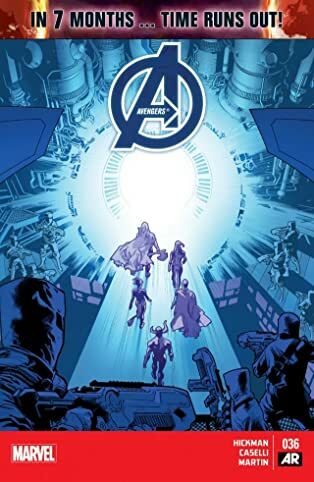 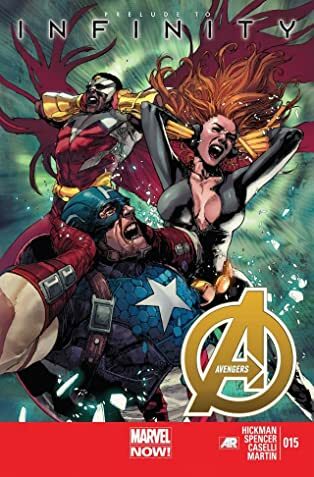 As if that wasn't enough, TIME RUNS OUT as the Avengers journey through time right up to the events of the universe-shattering SECRET WARS event! 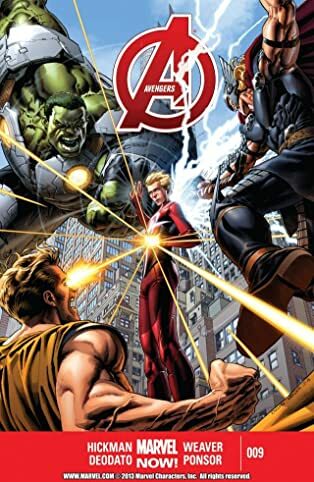 It doesn't get much bigger than this!